 Enjoy signature style in a beautiful apartment community when you live at Brownridge Terrace. See our incredible community for yourself by browsing through our online photo gallery or taking a virtual 360˚ tour of our clubhouse, fitness center, main entrance, or many of our apartments! You’ll be able to see the difference as you explore our community. Our immaculately landscaped grounds are surrounded by plenty of greenery and feature a resort-style saltwater pool. You’ll also find a fully equipped 24-hour fitness center with everything you need to stay in your best shape. Inside your apartment you will also benefit from unique features like a gas fireplace, decorative vanity mirrors, wood plank flooring, and designer paint schemes. Once you’ve seen what we have to offer and browsed through our floor plans, give us a call to schedule an in-person tour! Dogs, Cats, Fish, and Caged Birds are welcome! Dogs and cats must be neutered or spayed, and dogs must weigh less than 80 pounds total (certain breed restrictions apply). Maximum of 2 pets, $35/mo. per pet. No additional deposit is required. We ask that all pets who will be living or visiting your residence be disclosed. Qualified service animals are always welcome. Exotic pets are not allowed. Brownridge Terrace is a smoke-free community.